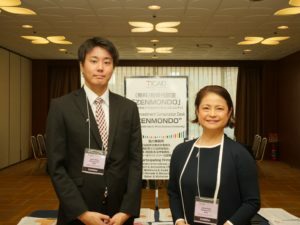 On October 7th, with the cooperation of the Ministry of Foreign Affairs, ZENMONDO held a special investment consultation desk, as part of an official event, TICAD Ministerial Conference. In this report, we would like to share a summary of the event. 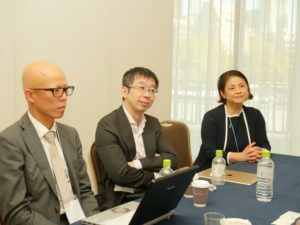 At this consultation desk, lawyers from Akasaka International Law, Patent & Accounting Office, Nishimura & Asahi, Mori Hamada & Matsumoto, and Baker & McKenzie attended to give legal advice to clients. 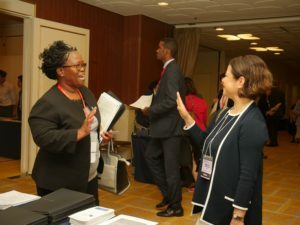 This is a rare opportunity where lawyers from different law offices gather and gave advice together. The participating lawyers were very sincere and thorough, and also did a follow up consultation through E-mail. The clients seemed to be very pleased for receiving service with high quality. 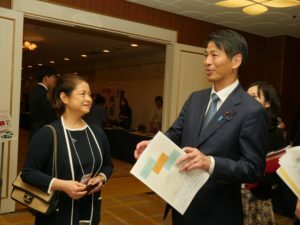 Minister of Foreign Affairs, Taro Kono, and Parliamentary Vice-Minister for Foreign Affairs, Kenji Yamada stopped by our consultation desk around noon. Both of them seemed to be very interested in ZENMONDO’s activities. 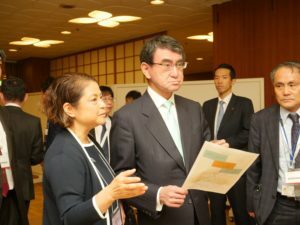 Minister Kono listened very carefully to ZENMONDO Representative Mina Arai-Ito’s explanation. 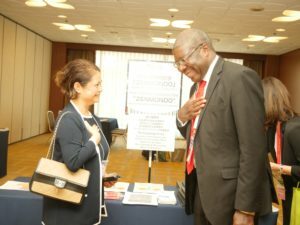 He seemed very interested in how ZENMONDO is focusing on the Middle East & Africa, and asked questions on how ZENMONDO is planning to expand its service. 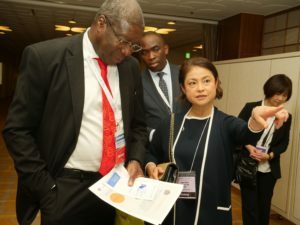 Parliamentary Vice-Minister Yamada talked passionately about the necessity of Japan and Africa’s cooperation. He seemed to be sympathized with ZENMONDO’s new style of business support. 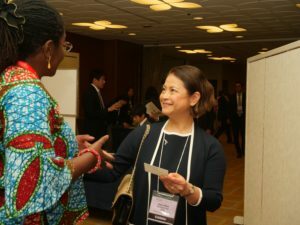 In the afternoon, we were able to meet many ministers and ambassadors from African countries. We were surprised at how much interest they had in our vision and plans. The Ambassador of Rwanda was especially passionate about the need for Japan, Rwanda, and Africa’s cooperation through innovation. One of the ambassadors told us that he would be happy to join ZENMONDO as soon as he gets back to his home country. We were motivated by the fact that there is demand and high expectation for our services, not only in Japan but also in Africa. This event was a great opportunity to appeal ZENMONDO’s activities. We would like to further commit to our mission in order to bridge Japan and the world. Please click this link for event details disseminated by the Japanese Foreign Ministry.